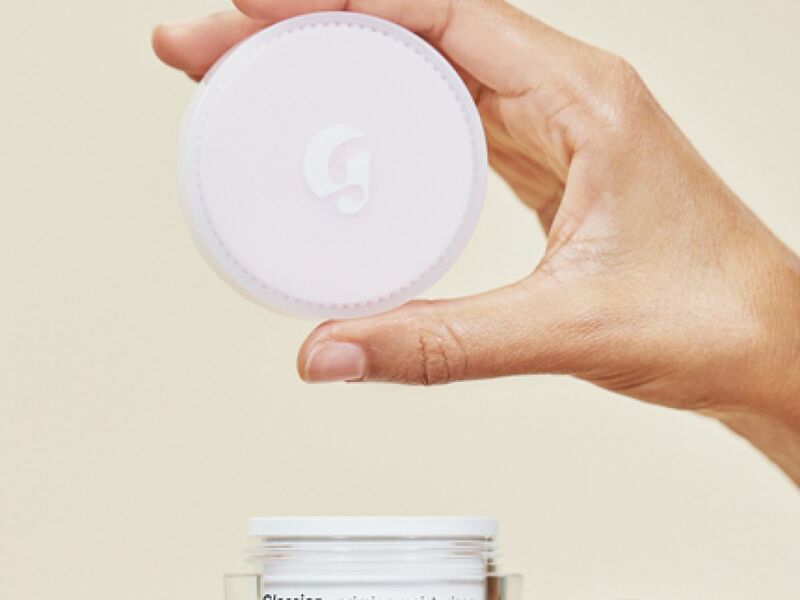 Glossier is kicking off 2017 strong with its latest innovation: Priming Moisturizer Rich. Truth be told, I wasn’t a Glossier devotee from the start — I loved the packaging, but figured the product inside would be…meh. But boy, did that change when I tried the original Priming Moisturizer — long after everyone else had been raving about it. It changed my daytime routine (and fixed many a hangover face) and now the richer one is upgrading my night lineup. The first thing you’ll notice about the Priming Moisturizer Rich is that it smells delicious. Not in that just-baked-cupcakes kind of way; it smells much more expensive and sophisticated. When you realize it’s made without mineral oils, artificial fragrances, or parabens, you’ll wonder how. Then, you’ll notice the thickness, which is what makes it so perfect for your pre-bed regimen. It’s loaded with ceramides to promote your skin’s strength and it doesn’t ever feel greasy — regardless of how much you load on. You’ll wake up with clean pillowcases and a brighter, softer complexion. Plus, at $35, it’s pretty reasonably priced — just skip happy hour this week (that’s a normal amount to spend at happy hour, right?) and pick this up instead. Then Instagram it — because if you don’t, did you really even buy Glossier? Glossier Priming Moisturizer Rich, $35, available at Glossier. Kanye West: Imitation Is The Sincerest Form Of Flattery?